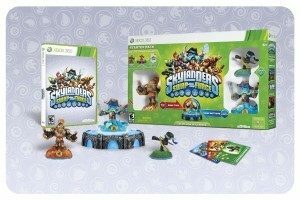 If you have been waiting for the price to drop on the Skylanders SWAP Force Starter Pack, it just did! You can get it for only $29.20 on Amazon – it’s lowest price (reg. $64.99). The starter pack includes: 1-Video Game, 1-Portal of Power, 3-Skylanders Figures, 1-Character Collector Poster, 3-Sticker Sheets with Secret Codes and 3-Trading Cards.